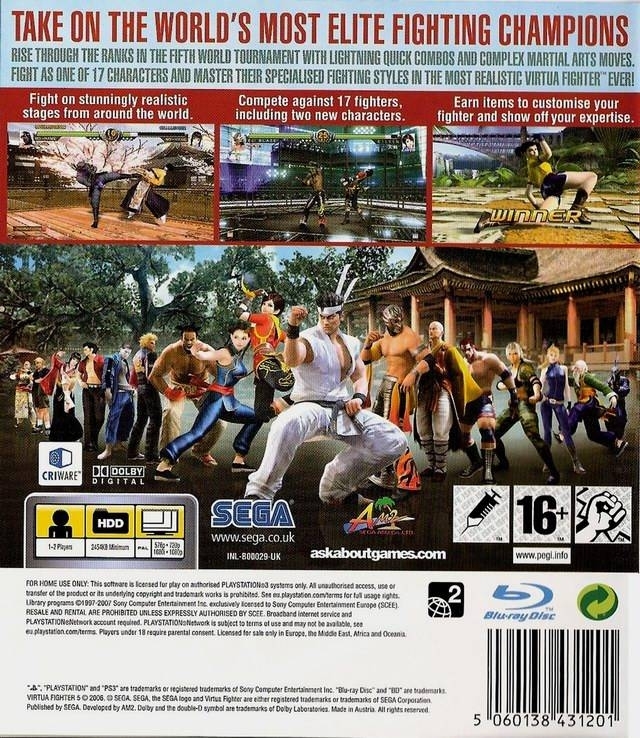 The Virtua Fighter series goes next gen with Virtua Fighter 5. 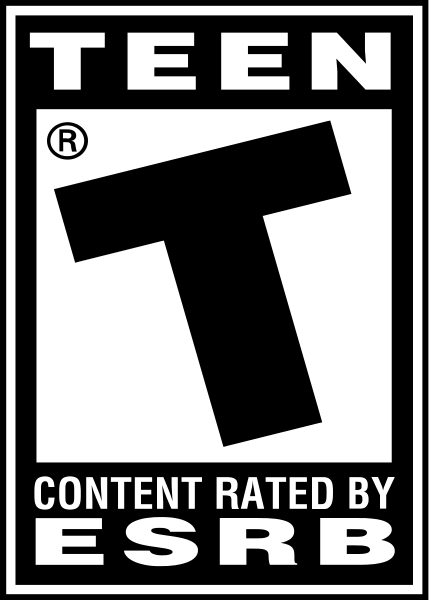 Game features two brand new characters: Eileen and El Blaze. 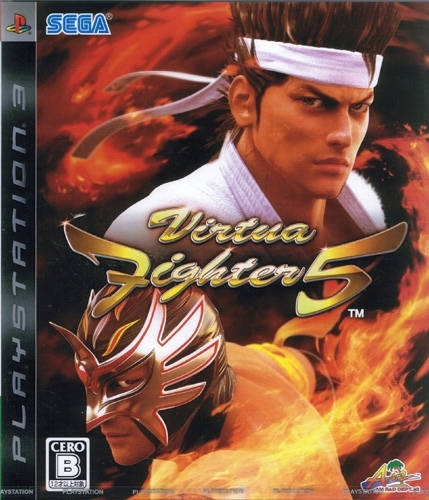 Probably the most complex and arcade-like fighting experience you can get in your home, VF 5 is known for its very deep combat system and competitive versus play. 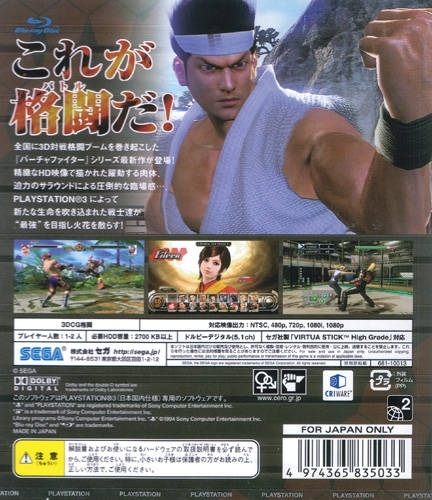 Though it might not have the eccentric characters and crazy looking moves of other fighting games it more than makes up for it with a system that one can literally spend forever improving on (especially with changes and balances from version to version). 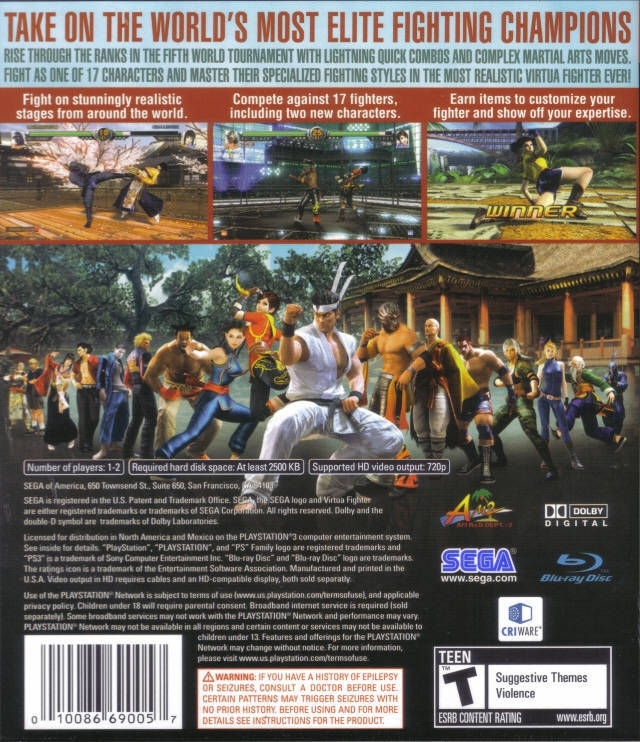 Beautiful graphics that probably make it the best looking fighting game out there in 3D today, the environments and characters certainly look like a major step up from the 4th game in the series. 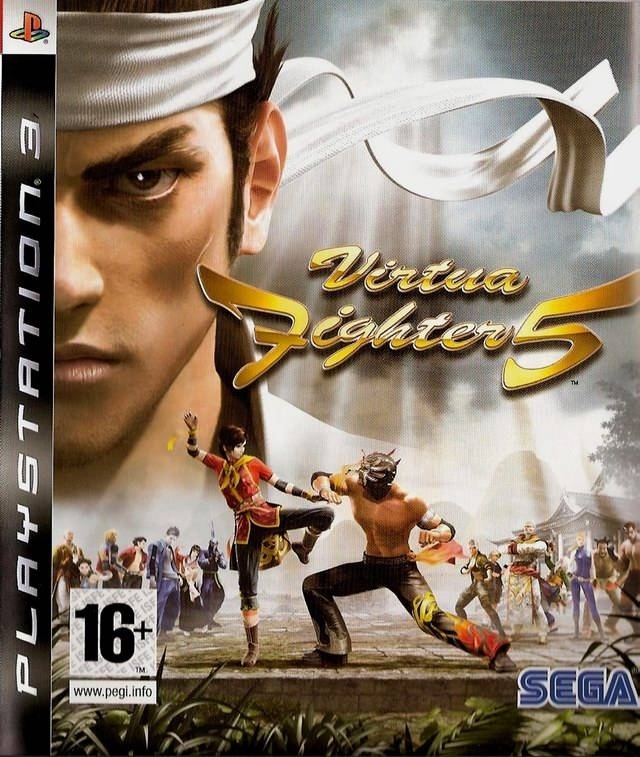 Outside of the usual modes of play, VF 5 brings the best players in the world right into your console by having an arcade tournament mode thats pits the player against fighters designed on the moves and tactics of the pro players of the game from Japan and around the world. It's tracked but I think there ara very few copies out there, so it's gonna stop at around 1.05 mil. So it is adjusted up, but now its not being tracked anymore? been on same numbers for 2 weeks. So many adjustments. 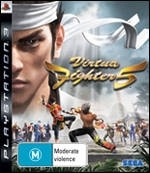 This will be the 100th million seller of PS3! Huge adjustment. Almost a million sold now! Just got this for $10 at Gamestop.